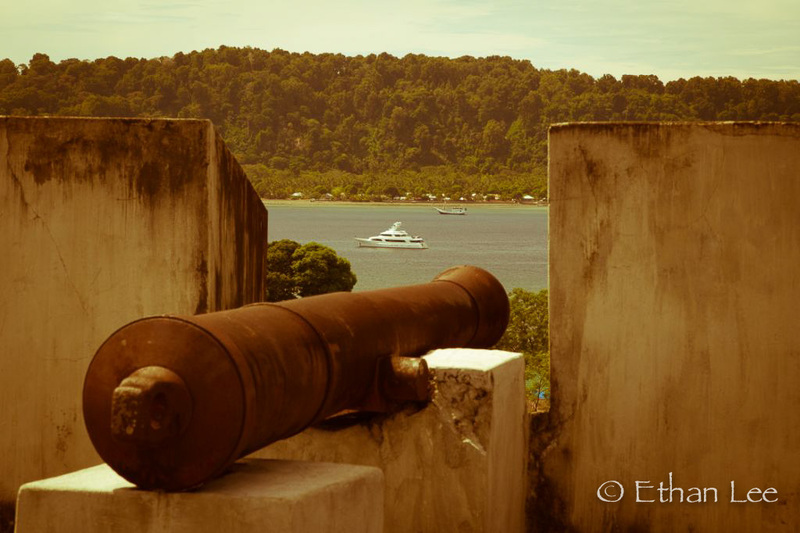 For centuries, the islands of Banda Neira, Lonthor, Ai and most importantly, Run nestled in the Banda Sea in central Maluku, Indonesia, were a blip on the radar of Europeans, as the source of fabled spices, at the time worth more than gold. Arab traders kept the location of these expensive commodities a well-guarded secret. Once the supply was cut off by the emerging Ottoman Empire however, Europeans initiated what is now known as the “Age of Discovery”, by sailing around Africa and the Americas in search of the “Spice Islands” where these spices originated. The Maluku region is home to several endemic plants that produce several of these spices including nutmeg, mace, and cloves along with non endemics such as cinnamon and black pepper. Europeans were willing to pay a fortune for these spices, which were used in various processes, from the preservation of other foods, improving gentlemen’s ‘longevity’ and even for warding off the plague, all reasons why the spices were so highly valued. Once the Portuguese ‘found’ the Banda Islands as the source of nutmeg, this small group of islands quickly became one of the most valuable properties in the world. Wars were fought and atrocities carried out by several European nations for control of this tiny archipelago. With occupation in succession by the Portuguese, English, and Dutch over a period of several hundred years, many important world events occurred here that affected the course of international history. 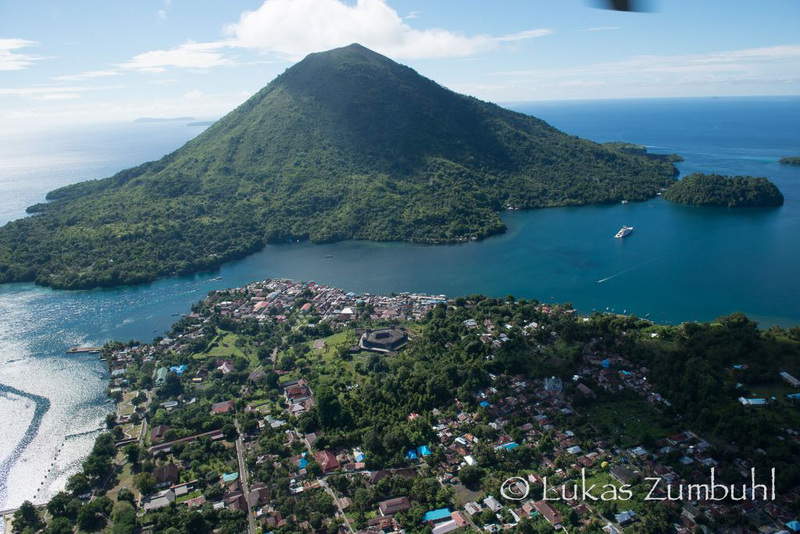 For a group of very small and sparsely populated islands, the Banda archipelago played an outsized role in the history of western civilization, and had an impact far larger than their modest size would suggest. 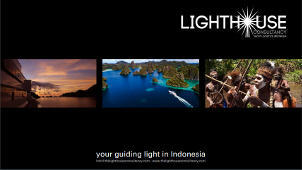 With a history drenched in spice and blood, the fabled Banda Sea offers a truly original cruising destination unlike any other in the vast Indonesian archipelago. With six main islands spread over an ocean area of 180 km2, hosting a population of just 15,000, the area is certainly not over populated, which can be attested by the healthy population of flora and fauna on land and sea. 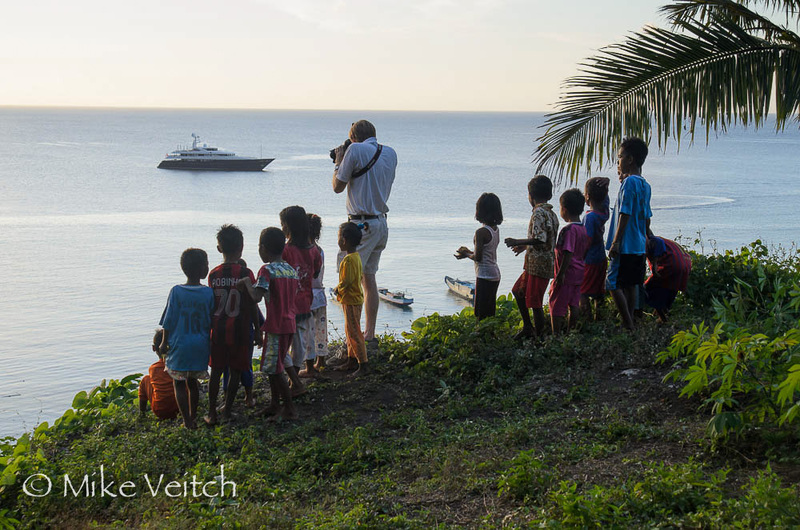 In modern times, all is calm and peaceful in the ‘Bandas’ and the atmosphere in the islands is serene. 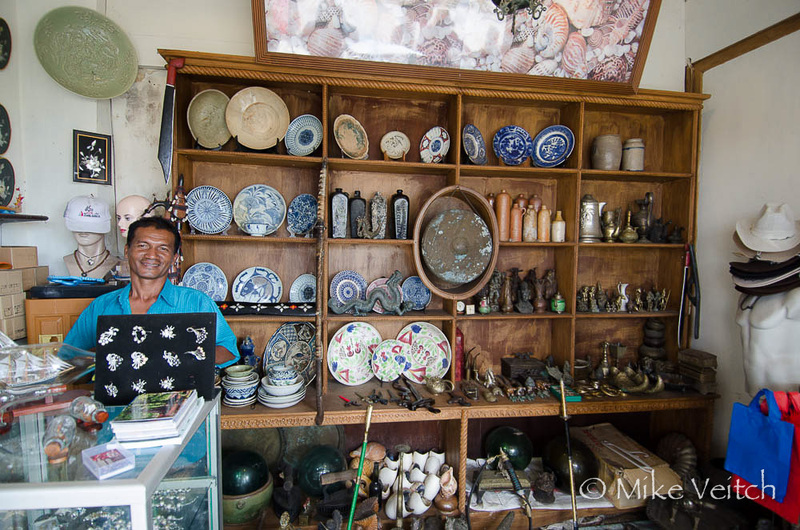 There is no hustle and bustle in this small archipelago, rather just the sound of waves in the harbours and the babble of residents shopping in the local market. 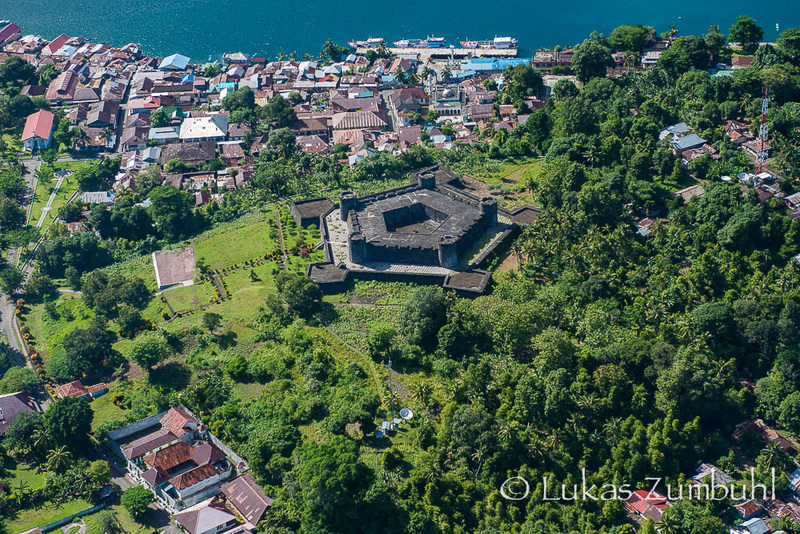 Banda Neira is possibly the best “preserved” historical town in Indonesia. The skyline is dominated by Fort Belgica, originally built by the Portuguese in 1611, before the island was taken over by the Dutch. Painstakingly restored in the 1980s and 90s, this fort commands the best view of the island and an hour spent walking its walls affords great photo opportunities. If one historic fort is not enough, the remnants of Fort Nassau are just a stones throw away, however, unlike its larger neighbor, Nassau has decayed with time and only a few portions of the perimeter wall still stand. Banda town also hosts a small museum, which contains a number of historical artefacts including Portuguese helmets and many old cannons. In addition to the historical sites, the town is great for a simple walk, as the local population is warm, welcoming and eager to talk to visitors. It’s important to hire a good local guide who can narrate a brief account of the historical times, including the massacre of the original Bandanese people. 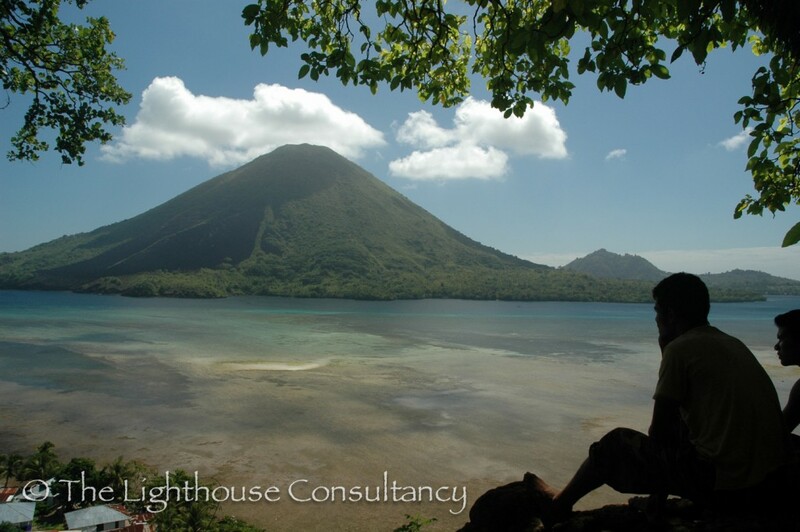 Boasting the classic pyramid shape typical of volcanoes in Indonesia, Banda’s Gunung Api towers above the surrounding islands, topping out at 640 metres. With just a few families living around the base of the volcano, the slopes are covered in lush, green vegetation and although a trail leads to the top of the mountain, a guide is a sensible decision. Although it’s only 2,000 feet tall, the trail is a steep one and winds through dense forest, so the walk can be hot and humid while in the trees, until emerging near the top where a seabreeze refreshes tired climbers. The view from the summit is well worth the hike, as a stunning view of the islands of the Banda archipelago presents itself to those who make the two hour trek. The volcano is still active, with the last major eruption occurring in 1988, therefore, there are several hot vents spread around near the crater, watch your step! When the Banda volcano last blew its top in 1988, a large lava flow swept down the northern slope into the ocean, covering a large part of reef in volcanic rock. 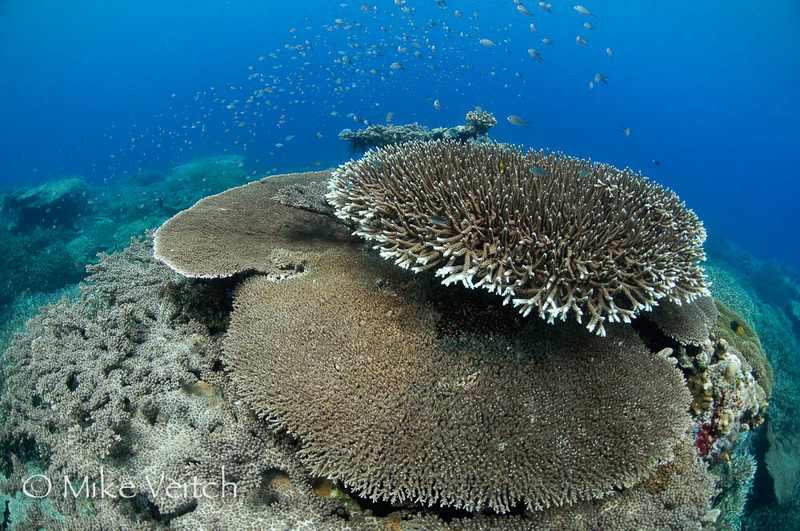 What many thought would be the total destruction of the reef has instead become one of the most incredible coral reefs in Indonesia. 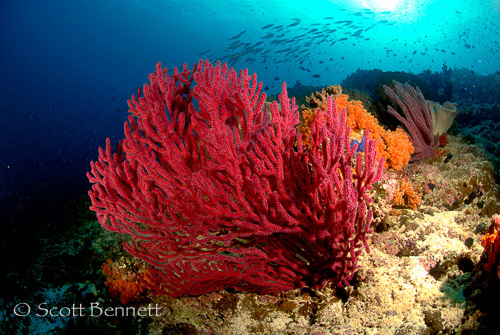 Measured from ‘ground zero’ after the eruption in 1988, this particular reef is known to be the fastest growing coral in the world. With a unique backdrop of the looming volcano and the huge lava flow that glides straight into the water, the view from a yacht entering the harbour almost rivals the striking corals beneath the surface. However, the marine life on the lava flow site is also beautiful, with thousands of damselfish, triggerfish, angelfish, and butterfly fish to be found swimming in and out of the endless shallow fields of table and branching corals. There are often giant cuttlefish to be found hunting in the region. Interested in what inspired Europeans to explore the planet back in the 1500s? It wasn’t purely for a love of adventure, but often the search for the source of nutmeg and other spices that were worth a fortune in Europe. Although most folks these days know about the spices nutmeg and mace, few people have seen the fruit they are derived from. Just beyond Fort Belgica is a small nutmeg orchard where locals harvest the fruit from the trees with the same process they have done for hundreds of years. Looking rather apricot-esque, the meat of the fruit is dried and turned into candy and jam. 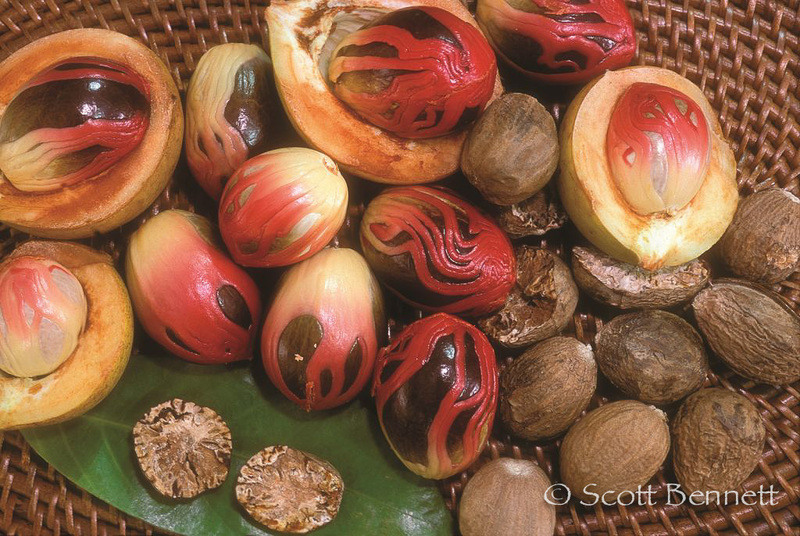 The seed of the fruit is covered in a red membrane that dries yellow to create mace as most would know it, and of course, the dry seed itself is the spice nutmeg. It’s fascinating to watch the method of separating the elements and consider how this small fruit was the source of so much wealth, war, and death hundreds of years ago. Back when the USA was still a colony of Britain, the Dutch controlled the island of Manhattan in New York and the British controlled the island of Run in the Banda archipelago. During several periods of war between the Dutch and Brits in the mid 1600s, the islands of Run and Manhattan were eventually exchanged as part of the Treaty of Breda, which ended the second Anglo-Dutch War in 1667. Although Run and the surrounding islands would remain a source of great wealth for the next 150 years, the importance of the spice trade eventually waned and Run became just another sleepy tropical island. Of course, everyone knows what happened with Manhattan! Nowadays, Run is home to a small village of a few thousand people who live a simple existence of fishing and tending crops. The village itself lies in front of a beautiful coral reef and crystal clear water that is perfect for scuba diving or snorkeling. The people of the village are very friendly and welcome visitors to wander around the streets, generally escorted by hordes of young children eager to interact with tourists and practice their English skills. Banda Islanders are a people who are dependent upon the sea for their survival, and as a result they have a long history of seamanship. 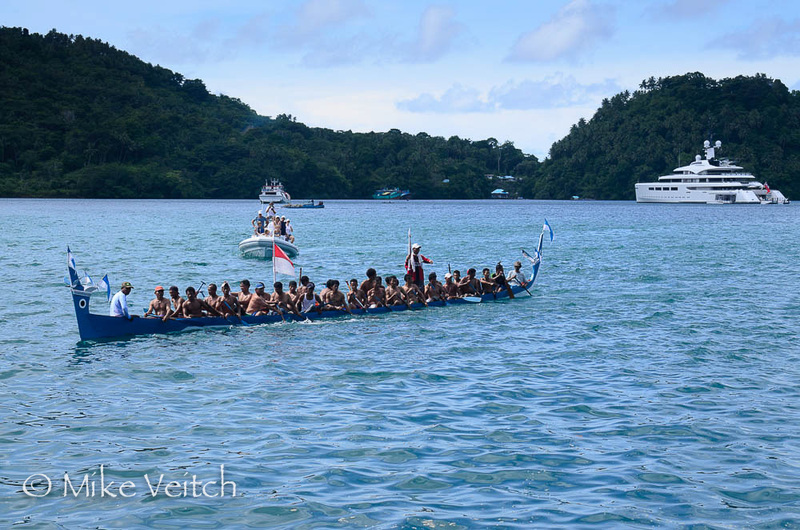 The traditional war canoe native to the Maluku region is called a Kora Kora, a long and narrow wooden vessel that requires up to 40 rowers to maneuver. It is an impressive sight to witness two of these traditional vessels in Banda harbour, with 80 local men chanting in unison as they race across the bay. With six islands surrounded by coral reef, three small islets, and a large offshore pinnacle, there is no shortage of coral reef to explore. 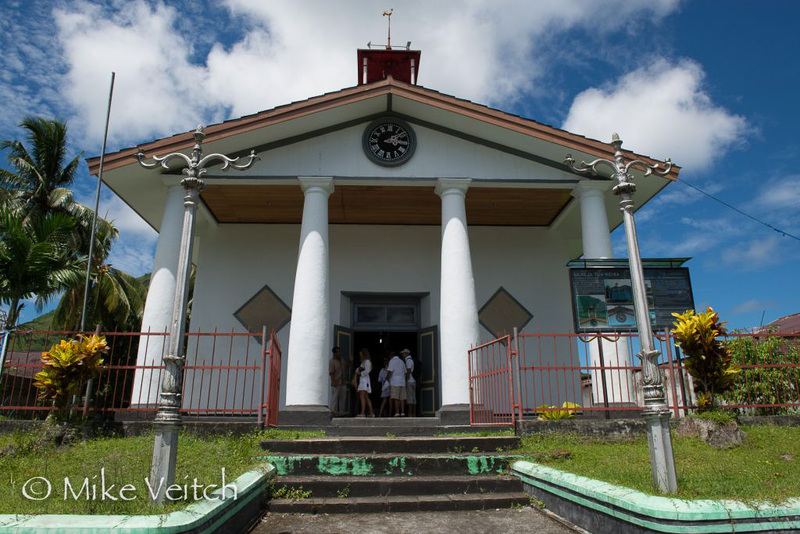 As these islands are located on the edge of one of the deepest trenches in the Pacific, the drop-offs that surround the islands are extremely impressive. Sheer vertical walls fall away into the abyss mere metres from shore, surrounded by schools of tropical fish. Lucky divers often encounter larger denizens of the deep such as hammerhead and thresher sharks, schooling big-eyed jacks, giant trevallies, and eagle rays. As there is not a lot of landmass in the area, the sea is typically a rich blue with unlimited visibility, making diving the Banda Islands is an activity not to be missed.